Overshadowed on the diamond by the antics and accomplishments of his younger brother Patsy, George Tebeau was little more than a journeyman outfielder-first baseman in the late 19th century. The lasting impression that he made on the game came only after his playing days were behind him. For almost two decades, George was arguably the most powerful force in minor-league baseball, first as a pennant-winning manager, and thereafter as a multiteam club owner. His was also the hand that guided the formation of American Association, the premier Midwest minor-league circuit for more than 50 years. Along the way, Tebeau estranged local fan bases, was frequently at odds with fellow club owners, and periodically in hot water with major- and minor-league presidents, as well as the National Commission. But through it all, he flourished, and by the time of his unexpected death in early 1923, Tebeau was long a wealthy man and much respected in baseball circles. On April 16 , 1887, George Tebeau started his big-league career with a bang, literally. In his very first at-bat, he tagged Cleveland Blues right-hander George Pechiney for a home run.7 He later added another base hit and played an errorless center field in the Reds’ 16-6 triumph. Four days later, manager Gus Schmelz started Tebeau in the pitcher’s box. The 21 hits he surrendered in a complete-game 16-6 drubbing by Baltimore ended that experiment; Tebeau never pitched for Cincinnati again.8 But resplendent in an always-immaculate ivory-colored uniform, he cut an impressive figure in the outfield, and soon the local press and fans were calling him White Wings. The meaning of this nickname has long been debated, but the most persuasive explanation seems that of a Tebeau contemporary, Cincinnati sportswriter Ren Mulford Jr. In a syndicated column in March 1887, Mulford stated that the moniker stemmed from “the peculiar way in which [Tebeau] holds his arms akimbo while walking on and off the field.”9 More important than acquiring a singular nickname, Tebeau turned in a solid freshman campaign, batting .296 in 85 contests for the second-place (81-54) Reds. During spring camp in 1890, the Reds, now a member of the National League, released Tebeau.12 In time, a new American Association franchise in Toledo emerged as the winning bidder for Tebeau’s services. As he had as a Reds rookie, Tebeau acquitted himself well on Opening Day, going 2-for-5 with a triple in an 8-3 win over Columbus. But as the season wore on, George clashed with manager Charlie Morton and club brass. In mid-September Tebeau was fined $100 for “insubordination.” He then refused to take the field for a game against St. Louis, and drew an indefinite suspension with a fine amounting to all salary due and owing (about $150).13 His days in Toledo were over. During the offseason, George again endeavored to place a Denver club in Organized Baseball but his efforts were rebuffed, this time by the Western Association.24 Against expectations, he then re-signed with Cleveland.25 George was off to an excellent start as an outfield-first base fill-in when personal tragedy struck. His oldest child, 8-year-old Austin, was stricken with meningitis and died on June 14.26 After the funeral, Tebeau returned to the lineup to complete an excellent .326/.413/.408 campaign in 92 games played, his finest as a major leaguer. But for reasons undiscovered by the writer, George saw no action in the postseason Temple Cup, won by Cleveland in five games over the pennant-winning Baltimore Orioles. In 1900 Tebeau’s tenure as a baseball executive began in earnest. That year he was finally able to place a Denver franchise in a recognized minor-league circuit, the latest incarnation of the Western League.33 New WL President Thomas J. Hickey had spent the 1899 season as head of the now-expired Western Association, and would soon prove an important Tebeau collaborator. For the time being, however, Tebeau’s partner in the new Denver Grizzlies club was D.C. Packard, a local real-estate and insurance broker. Managed by co-owner Tebeau himself, the 61-44 Grizzlies captured the WL flag, reeling in an estimated $10,000 to $12,000 profit in the process.34 The other five WL clubs reportedly ended the season in the black, as well.35 But the visionary Tebeau saw little long-term future in the league’s backwater venues. Rather, he proposed WL expansion into the larger cities of the Midwest, particularly those, like Kansas City, Minneapolis, and Indianapolis, abandoned by the American League on its way to claiming major-league status. Acting under the ostensible direction of league President Hickey, the Western League jettisoned the likes of Sioux City and Pueblo for the 1901 season, expanding the circuit to include clubs in Kansas City, Minneapolis, and St. Paul. Leaving the Denver Grizzlies to Packard, Tebeau took control of the Kansas City Blues and managed his new nine to another WL pennant. Nevertheless, Tebeau remained dissatisfied. He wanted a larger stage. To that end and in the face of widespread opposition from the baseball establishment and house organs like Sporting Life and The Sporting News, Tebeau fashioned a new, independent (or outlaw) minor-league organization to which he gave a familiar name: the American Association. The league would include clubs in such one-time major-league cities as Indianapolis, Louisville, Kansas City, Columbus, Milwaukee, and Toledo, plus the Minneapolis-St. Paul tandem. The reliable Thomas J. Hickey would assume the post of league president. Although he did not occupy the league president’s chair, it was no secret that Tebeau was the real force in the new circuit. Kansas City newsman Doc Shively sneeringly branded Hickey “merely a figurehead, a man Friday” servant of Tebeau,36 while Sporting Life grudgingly conceded that “when it comes to scheming and hustling, no one in the profession has anything on George Tebeau.”37 And Tebeau was scheming large, bankrolling the AA clubs in both Louisville and Kansas City. The latter would be in head-to-head competition with a new Western League club placed in Kansas City, and reside at the epicenter of a fierce two-year battle between Tebeau’s old league and his new one.38 Given their respective population bases, the triumph of the American Association was inevitable. By 1903 the AA had been officially recognized by baseball powers-that-be and was widely seen as the premier minor league. Tebeau’s fortune took some hits in the ensuing years. Hours after the final game of the 1912 season, the Kansas City ballpark was consumed by fire “incendiary in nature.” The club owner’s $20,000 loss was only partially covered by insurance, necessitating a rebuilding of the edifice substantially via his own checkbook.51 The following year, an expensive divorce – George and wife Amelia had been living in separate quarters for years – put another dent in his finances.52 And by now he also had a mistress to maintain, one Mary St. John, a Chicagoan some 20 years his junior. She was mansion-ensconced in Riverside, a pricy Windy City enclave. But the real blow to Tebeau’s finances was dealt by the Federal League. Unlike his AA brethren, Tebeau alone had to contend with direct intracity competition (courtesy of the Kansas City Packers) from the upstart major league. Never popular with Kansas City fans to begin with, attendance at the games of Tebeau’s Blues plummeted, going from 185,950 in 1912 (the season before the minor-league Federal League entered Kansas City) to 56,219 in 1915. Mercifully for Tebeau, the Federal League expired after the 1915 campaign. “Two years of strife with the Federal League have put a fearful crimp in George Tebeau’s bankroll,” declared Sporting Life. But he took pride in his repulse of the Feds “without assistance from elsewhere.”53 Still, the club owner remained unpopular with Kansas City baseball fans, and soon encountered pressure from AA President Hickey and others to sell the Blues to someone more palatable to the locals. A proud man, Tebeau resisted for a time. But after a dismal 1917 season on the field (66-86, seventh place) and at the turnstiles (85,106, seventh in AA attendance), he sold the Blues to a consortium of Kansas City businessmen.54 The purchase price was not reported in the press, but was doubtless less than the $150,000 he had been offered for the franchise previously. Tebeau then withdrew to the Chicago abode that he shared with now-wife Mary. Early in 1918 it was reported that Tebeau had made an unsuccessful $85,000 offer for the American Association club in Indianapolis.55 The rebuff turned out just as well for him, as United States participation in World War I would shutter the league that July for the duration of the hostilities. By then George was also mourning the loss of brother Patsy, a suicide in May. After a bizarre March 1919 incident at the Tebeau residence in Chicago had led to a brief institutionalization of Mary Tebeau,56 George removed his wife to Denver. That fall he endeavored to place a new Denver franchise in the revived Western League, but was spurned by other WL club owners “fearful of his pocketbook, power, and voice.”57 When turned down a second time the following year, Tebeau responded in predictable fashion: he formed his own independent minor league for the 1921 season, a circuit dubbed the Midwest League. With Tebeau himself at the helm of the Denver Bronchos, the new league also fielded clubs in Sterling (Colorado), Scottsbluff (Nebraska), and Casper, Laramie, and Greybull (Wyoming).58 Unhappily for George, the circuit did not survive its inaugural campaign, with Tebeau left responsible for making good most Midwest League debts. Like other baseball pioneers, the memory of George Tebeau receded over time. But in 2006, a handsome granite headstone was erected over his previously unadorned grave.63 The inscription is fitting, if slightly overstated: George Tebeau, Father of Colorado Baseball. Sources for the biographical info provided herein include the George Tebeau file at the Giamatti Research Center, National Baseball Hall of Fame and Museum, Cooperstown, New York; US Census reports; Tebeau family tree info posted on Ancestry.com; and certain of the newspaper articles cited below. Unless otherwise noted, stats have been taken from Baseball-Reference and The Encyclopedia of Minor League Baseball, Lloyd Johnson and Miles Wolff, eds. (Durham, North Carolina: Baseball America, Inc., 2d ed. 1997). 1 Modern baseball reference works list our subject as George E. Tebeau, the middle initial being a legacy of the groundbreaking, but biographical error-plagued, The Official Encyclopedia of Baseball by Turkin and Thompson, first published in 1951. Still-extant diocesan records establish that our subject was baptized “George Tebeau” (without middle name or initial) at St. Ferdinand Church on February 8, 1862. And George Tebeau – without middle name or initial – was how his name appeared in the reams of newsprint devoted to Tebeau during his lifetime. No trace of any middle initial E. before 1951 has been found in research of George Tebeau, and, in the writer’s opinion, the initial is simply a Turkin and Thompson invention. The family surname was pronounced TEE-bo, according to the Cleveland Plain Dealer, December 28, 1888, and Philadelphia Inquirer, July 25, 1897. 2 The other Tebeau children were Louis (born 1849), Cecile (1850), Sarah (1855), and Oliver (Patsy, 1864). A sixth Tebeau child, name and birth year unknown, appears not to have survived infancy. 3 Louise Tebeau’s maiden name has also been given as Peury, Frick, or Bonner. 4 Sporting Life, July 29, 1885. 5 From stats published in the (Denver) Rocky Mountain News, November 2, 1885, and Sporting Life, November 25, 1885. 6 As reported in the Rocky Mountain News, October 29, 1886, Cincinnati Post, December 12, 1886, and Cleveland Plain Dealer, December 16, 1886. 7 Remarkably, that same day rookie Mike Griffin of the Baltimore Orioles replicated Tebeau’s feat in a game against Philadelphia. Because record-keepers are unable to determine the exact moment that Tebeau and Griffin hit their home runs, the two are jointly credited with being the first player to hit a homer in his initial major-league at-bat. 8 Tebeau’s second and final major-league pitching appearance came in Toledo livery during the 1890 season. He hurled five ineffectual relief frames to close his big-league log at 0-1, with an 11.77 ERA in 13 innings pitched. 9 See the Duluth (Minnesota) Daily News, March 24, 1887. Other sources assert that the nickname was derived from the then-popular Western ballad “White Wings” or that it reflected Tebeau’s running speed or that it somehow embodied his brash personality. A connection to late-nineteenth-century garbage collectors (for some reason called White Wings) has also been suggested. But in the writer’s view, the most likely explanation of the nickname is Mulford’s. 10 John B. Foster, “Giving the Tebeaus Their Place in the Game’s Annals,” The Sporting News, February 15, 1923. 11 As reprinted in the Cleveland Plain Dealer, June 3, 1889. 12 As reported in the Boston Herald and Philadelphia Inquirer, April 15, 1890, and Sporting Life, April 19, 1890. The Cincinnati Reds relocation to the National League was part of the franchise turmoil that attended the arrival of the Players League. 13 As reported in the Cincinnati Commercial Tribune, Omaha World-Herald, and elsewhere, September 15, 1890. 14 As reported in Sporting Life, October 25, 1890, and the Denver Daily News, February 8, 1891. Meanwhile, Tebeau remained reserved to Toledo and on the club’s suspended list. It took until May 1891 for Toledo to release Tebeau and thus make him eligible to play for Denver, as reported in the Cleveland Plain Dealer, May 5, 1891, and Rocky Mountain News, May 22, 1891. 15 As variously reported. See, e.g., the Boston Herald, June 9, 1891, Rocky Mountain News, June 14, 1891, Sporting Life, June 20, 1891, and Evansville (Indiana) Courier, August 23, 1891. 16 As reported in the Canton (Ohio) Repository, April 30, 1893, and Rocky Mountain News, May 12, 1893. The state league also had teams in Colorado Springs, Leadville, Aspen, and Pueblo. 17 See the Chicago Inter-Ocean, Cleveland Plain Dealer, and Rocky Mountain News, October 26, 1893. 18 Per the Rocky Mountain News, December 18, 1893. 19 According to the Boston Herald, January 14, 1894. 20 Boston Herald, June 27, 1894. 21 As per Sporting Life, July 21, 1894. 22 Philadelphia Inquirer, August 5, 1894. 23 According to the Evansville Courier, December 2, 1894. 24 As reported in Sporting Life, March 3, 1895. 25 Sporting Life, March 23, 1895. 26 As reported in the Cleveland Plain Dealer and Rocky Mountain News, June 15, 1895. 27 As per Sporting Life, April 7 and 14, 1896, and the Denver Post, April 10, 1896. Although frowned upon by Organized Baseball, major league ownership of minor-league clubs was not formally banned until late 1897. 28 Foster, The Sporting News, February 15, 1923. 29 As reported in Sporting Life, September 19, 1896. According to Tebeau, the Fort Wayne club lost $1,400 in its final six weeks of operation, as per the Saginaw (Michigan) News, September 23, 1896. 30 The Columbus franchise relocated to Grand Rapids, Michigan, on July 17, 1899. 31 As per the 1900 Reach Guide, 59. Baseball-Reference has no stats for Tebeau’s 1899 season for Columbus/Grand Rapids. 32 The 650 games number is incomplete, as it does not incorporate an unknown number of games Tebeau played for Fort Wayne (Interstate League, 1896). 33 On its way to major-league status in 1901, the former Western League of Ban Johnson had adopted a more expansive appellation: the American League. 34 As estimated by Sporting Life, October 20 and November 23, 1900. 35 According to the Washington Evening Star, August 25, 1900, and the 1901 Reach Guide, 115. 36 The Sporting News, December 14, 1901. 37 Sporting Life, April 19, 1902. 38 For a comprehensive account of the interleague battle, see Dennis Pajot, Baseball’s Heartland War, 1902-1903: The Western League and American Association Vie for Turf, Players and Profits (Jefferson, North Carolina: McFarland, 2011). 39 As reported in the Colorado Springs (Colorado) Gazette, January 19, 1904, Cleveland Leader, January 21, 1904, Sporting Life, January 30, 1904, and elsewhere. 40 See the Denver Post, January 29, 1904: “George Tebeau is now in absolute control of the Western League.” Not coincidentally, the Western League competitor to Tebeau’s AA club in Kansas City was disbanded after the 1903 season. 41 Denver Post, November 14. 1904. 42 See the Cleveland Plain Dealer, January 10, 1905. 43 As per Sporting Life, August 5, 1905. In the estimation of others, Tebeau was “czar of the minor leagues.” See the Washington Post, January 25, 1906. 44 As reported by Sporting Life, January 6, 1906. Only 18 months earlier, Johnson had tied to interest Tebeau in assuming control of the American League’s financially troubled Washington franchise, and was disappointed when Tebeau’s purchase bid was rejected by club shareholders. See the Rocky Mountain News, August 15 and 16, 1904. 45 Sporting Life, August 24, 1907. 46 As reported in Sporting Life, October 24 and 31, 1908, and the Denver Post and Rocky Mountain News, November 24, 1908. The reportage did not disclose a sale price. 47 See, e.g., the Duluth (Minnesota) News-Tribune, July 24, 1909, and Sporting Life, July 31, 1909 ($50,000), New Orleans Item ($85,000-$90,000), San Francisco Chronicle, August 28, 1910 ($90,000), and Sporting Life, May 22, 1910 ($100,000). Previously, a deal to sell Grayson the Kansas City franchise for $120,000 had fallen through. See the Kansas City Star, July 3, 1909. 48 As reported in Sporting Life, May 22, 1910, Charlotte Observer, July 10, 1910, and Grand Forks (North Dakota) Evening Times, July 13, 1910. 49 San Francisco Chronicle, August 28, 1910. 50 See, e.g., the Salt Lake Telegram, February 1, 1913, and Duluth News-Tribune and Seattle Times, February 9, 1913. 51 As reported in the Los Angeles Times and Grand Rapids Press, September 23, 1912, and Sporting Life, October 15, 1912. 52 The final decree conferred the $75,000 Tebeau residence in Denver on Amelia (George had long lived in Kansas City) and obliged him to maintain his socialite daughter Louise in accustomed style, as per the Denver Post, July 18, 1913. 53 Sporting Life, January 15, 1916. 54 As reported in the Kansas City Star, October 21, 1917. 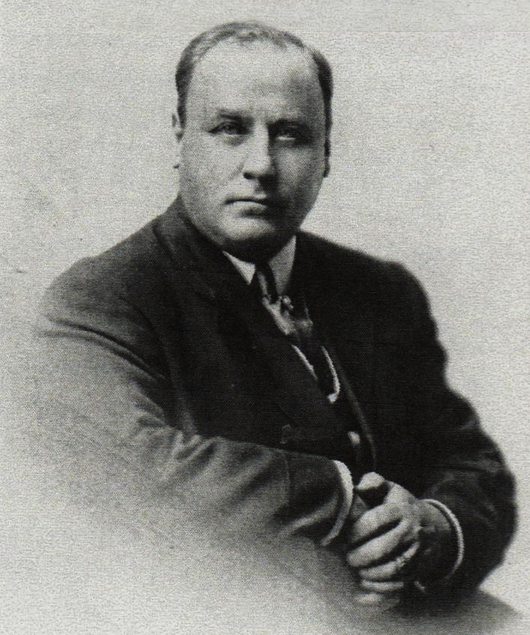 The head of the consortium was Kansas City native George Muehlebach. 55 Washington Evening Star, January 16, 1918. 56 Late in the evening of March 16, 1919, Chicago police responded to report of a break-in at the Tebeau mansion, but upon arrival found no trace of intrusion. But a hysterical Mary Tebeau, the victim of recent nervous breakdown, could not be calmed down, and with George away on a business trip, she had to be admitted to the Chicago “psychopathic hospital,” as per the Chicago Tribune, March 17, 1919. 57 As per the Denver Post, October 28, 1919. 58 As reported in the Denver Post, March 3 and 6, 1921. 59 As per the Rocky Mountain News, March 10, 1922. 60 As reported in the Rocky Mountain News, October 18, 1922. 61 As reported in newspapers nationwide, February 5, 1923. 62 As per an unidentified circa February 1923 news item contained in the George Tebeau file at the Giamatti Research Center. 63 See Irv Moss, “Baseball Founder Finally Receives Due Respect,” Denver Post, May 19, 2006.